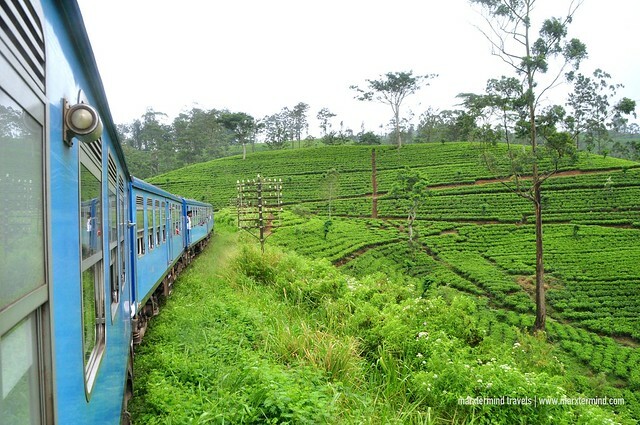 One of the exciting things to experience in Sri Lanka is to ride a train. Sri Lanka has a vast railway system with three main lines from Colombo going to the southern, northern and eastern part of the country. Each route offers a scenic experience but the most picturesque is from the east. 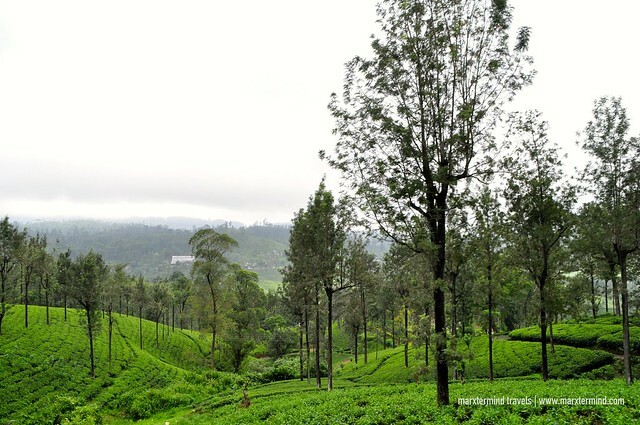 It has a beautiful route that goes through the hill country of Nuwara Eliya and Ella. Tagged by tourists as the world’s most scenic train ride, we were pretty excited to experience it ourselves. 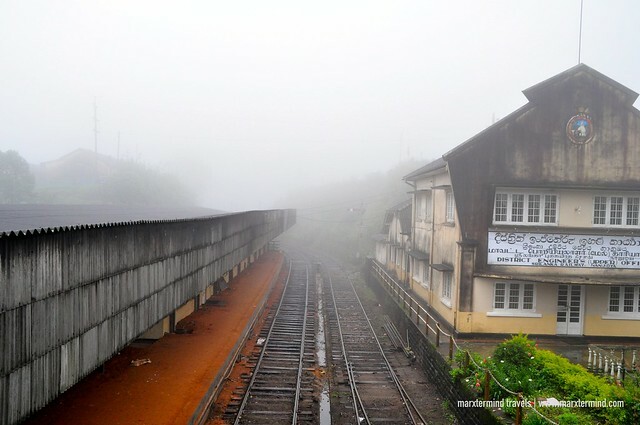 Hence, we took the train to Colombo when we were in Nuwara Eliya. There are three classes on Sri Lankan trains: 1st, 2nd and 3rd class. The 1st class is air-conditioned with closed windows and doors while the 2nd and 3rd classes are non-air-conditioned. Booking of seat in advance is available for 1st and 2nd classes through ticket counters. But it is advisable to only reserve a day or 2 prior to your planned train journey, as train schedule could change. In our experience, we didn’t book our tickets ahead. Karu, our driver, told us that we only needed to go the train station a day prior to check the train schedule. We just arrived at the train station earlier and booked our tickets on the day of our journey. 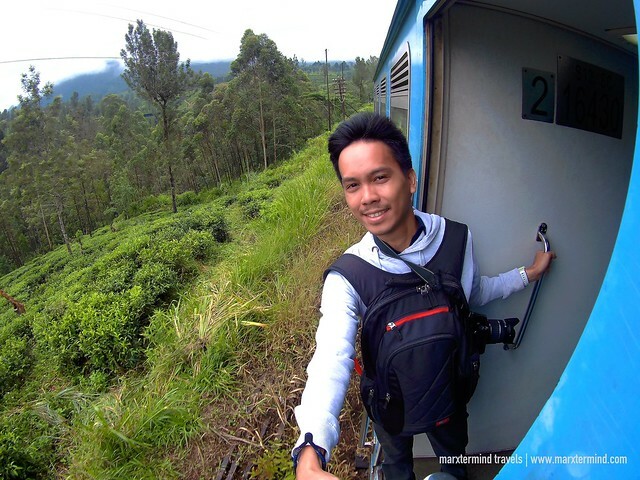 Train tickets in Sri Lanka are affordable. Our 2nd class seat to Colombo only cost LKR 600 (~$5) per person, and that was a 7-hour journey. 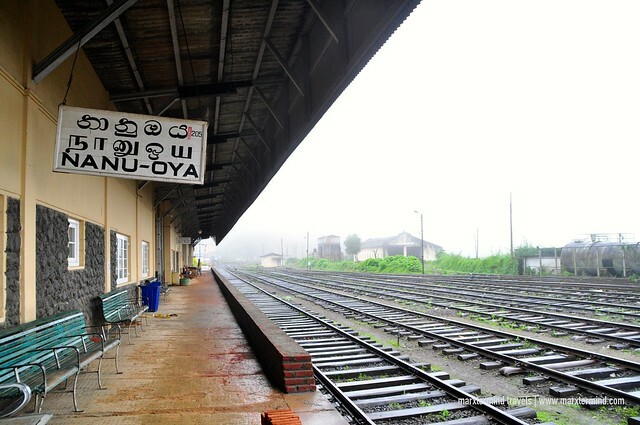 The nearest train station from Nuwara Eliya is at Nanu-oya. The station is less than an hour away from the town centre. There were 5 schedules that day. We opted to take the second schedule in the morning. We arrived early to secure tickets for us. Estimated time of arrival of the train was 9:19 AM. There weren’t many passengers yet at the station when we arrived, thinking that it’ll going to be a relaxing journey for us. But minutes later, locals and tourists alike arrived. It became a crowded scene that when the train came, we just boarded any class carriage. Seats got occupied instantly leaving us with no choice but to stand. But it wasn’t a big deal since we actually just wanted to stand behind the door and watch the breath-taking scenery and stunning landscape along the way. Of course, we enjoyed taking selfies as well. We enjoyed the first leg of our journey, from Nanu-oya to Kandy. The tea plantations, waterfalls, rolling mountains, clouds and mist made the stretch a picture perfect journey. It was 4 hours. Before we arrived Kandy, we finally had a place to sit. We were glad because the second leg of our journey from Kandy to Colombo is where the class carriage got loaded with more passengers. It was another 4-hour train ride or fewer. But it was an experience as well. But I just didn’t leave my place anymore to take some photos. Since I was already tired and famished, I just had some naps in between to kill time. We arrived in Colombo past 4:00 PM. We exited the train station and rode a bus going to our hotel, which is located along Colombo Plan Road. Taking a bus to our hotel was also our first time to ride one in Sri Lanka. We initially thought of taking a cab, but hey we were in Sri Lanka, we have to try every kind of transportation. 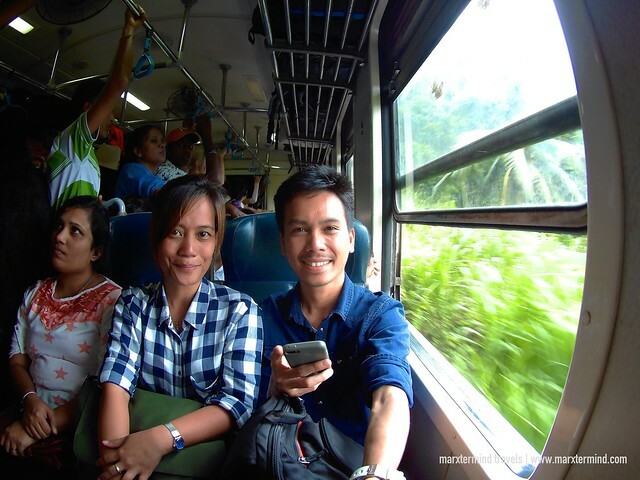 Riding the train and bus in Sri Lanka was an exciting experience. We enjoyed our journey from Nuwara Eliya to Kandy with its scenic view and surroundings. It was totally an exciting experience for us. The ride was definitely epic and a must try when travelling in Sri Lanka.